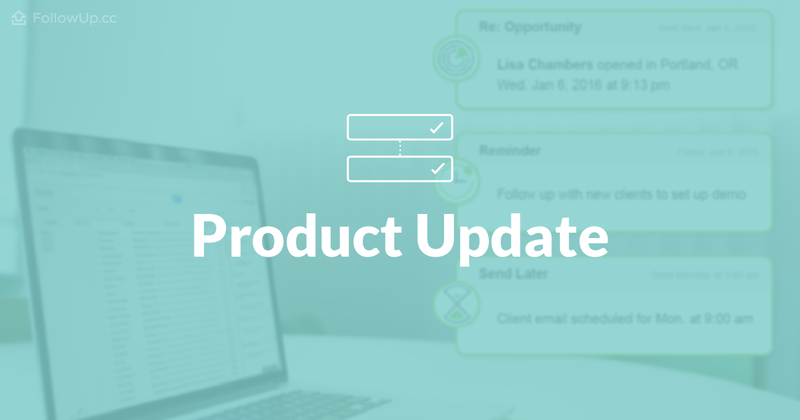 We’re always hard at work improving FollowUp.cc and wanted to share some exciting updates we’ve made to the product. The Activity Tab in your Chrome extension is a great way to stay on top of your email interactions. We received a lot of great feedback from users about what they’d like to see in the Activity Tab. 1. We’re now bundling notifications for email opens on a given day, so you can more easily gauge your contact’s interest level. The counter is per-day, so at the end of every day it will reset to 0. You’ll now be able to scroll through your Activity Tab and quickly see how many opens per day an email received. 2. Depending if it’s the first, second or third (and beyond) tracked email in any given thread, we’ll show you a corresponding icon so you can scan your activity much quicker. 3. Because of the way open tracking works, if an email is sent to multiple recipients, we’re currently unable to tell you who of the group opened your email. 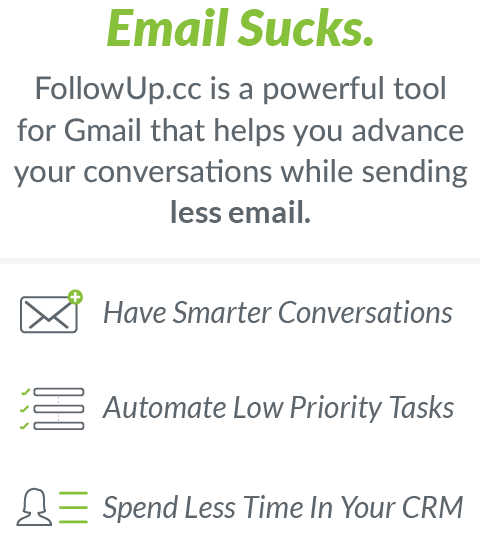 To help with this technical limitation, we’ll now tell you how many recipients an email had in your Activity Tab. If you hover on the number of recipients, you’ll see their names. 4. We’ve added a much more comprehensive picture of all the information you need right in your Chrome pop-up notifications. 5. Geolocation is back! We’ll now be able to tell you where an email was opened. If there are multiple locations, on hover you’ll be able to see them all. We hope you enjoy the improvements to your Activity Tab! Don’t hesitate to let us know if you have any questions about how the updates work. P.S. Not using the Chrome extension yet? Click here to install it for free. great improvement on the activity tab, it was indeed getting a little too crowded for its own good, keep up the great work! Thanks so much for your feedback, Guilherme! We really appreciate it. Glad you're liking the updates!